Hey, where is this light coming from? Tall, gentle and of light materials, the lamp is almost imperceptible. It accommodates easily in the living room, creating a focal point around the coffee table. What type of furniture pair with it beautifully? Especially the clean aesthetic fits best. Two large armchairs, an ivory leather sofa and a skinny coffee table make the setup. Many friends find it funny. Its long neck makes us think of a tall giraffe overlooking in our plates. I feel it adds dynamism to a place. For example, in this quite plain setup, it’s the only element that goes out of the box. 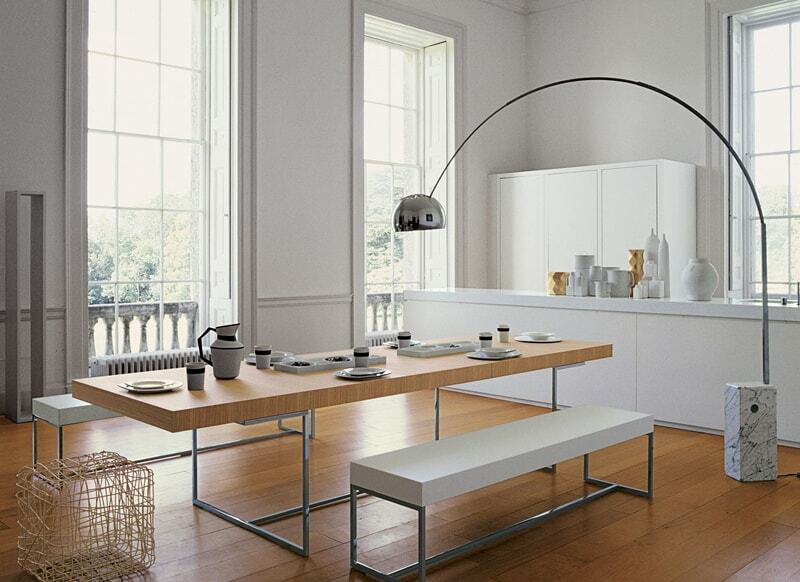 The long dining table mixes amazingly with the benches, forming a strong visual area. The curved lamp nearby counterpoints with a totally different effect. 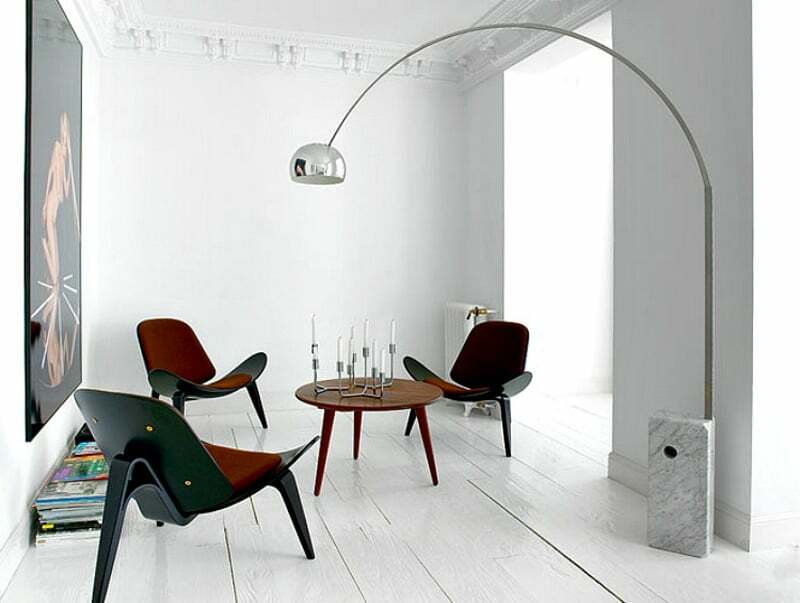 I remember the 1970’s-time, when over-the-sofa arc lamps had a rebirth back in 2003-2004. During this era, loads of stupid, little plastic and stainless wannabes made their way into dozens of stores—then simply vanished a year later. It’s probably because the ones that seem to stand the test of time are usually solid metal with incredible finishes: marble with steel. 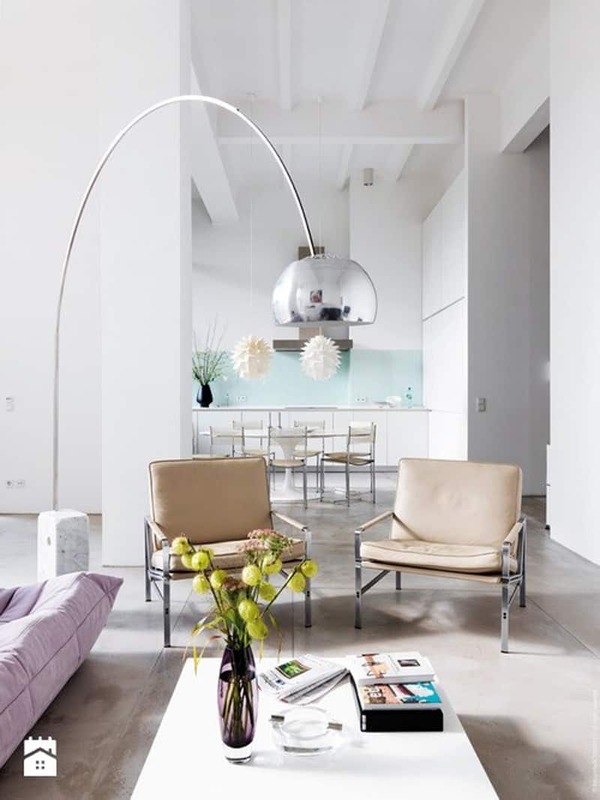 Many designers suggest white or silver environments for this stylish floor lamp. As you can easily notice, it fits amazingly in this warm room dominated by wood. Add a personal touch to the dining room with pastel paintings, photographies and drawings. 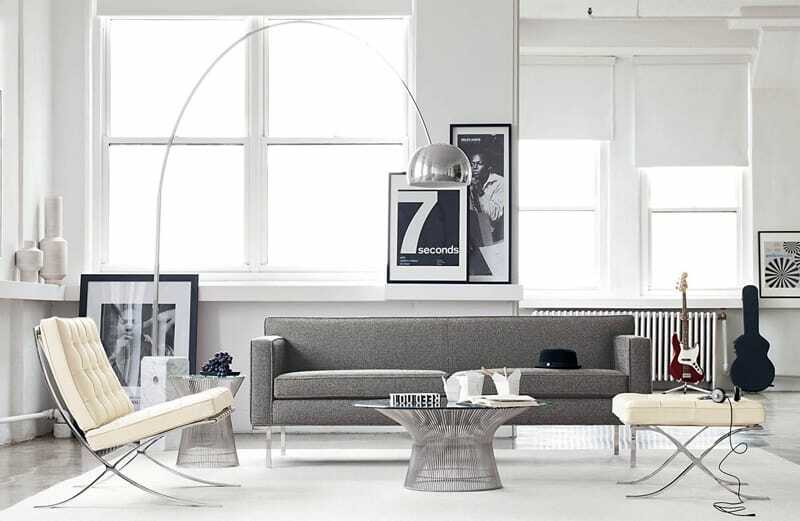 The classic chrome Arco Lamp in a silvery living room. 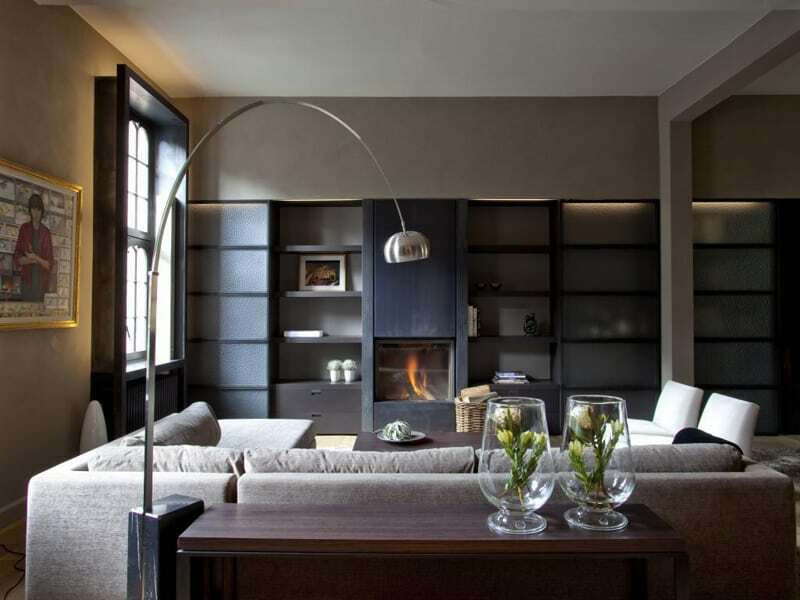 Tall rooms are perfect for this sculptural lamps, and those featuring large windows too. It’s a sculptural item that provides the same effect as overhead lighting without all of that messy wiring and lack of flexibility that comes with a pendant. The long arcing neck needs support. It is provided by a marble brick base with a hole in it. 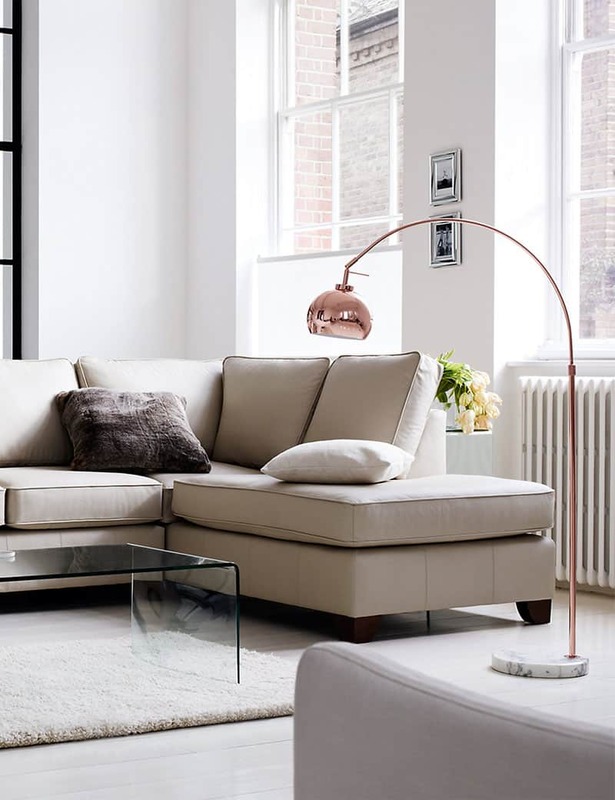 Once you’ve found a corner for the base, the lamp can be placed over sofas, beds, desks and even dining tables. 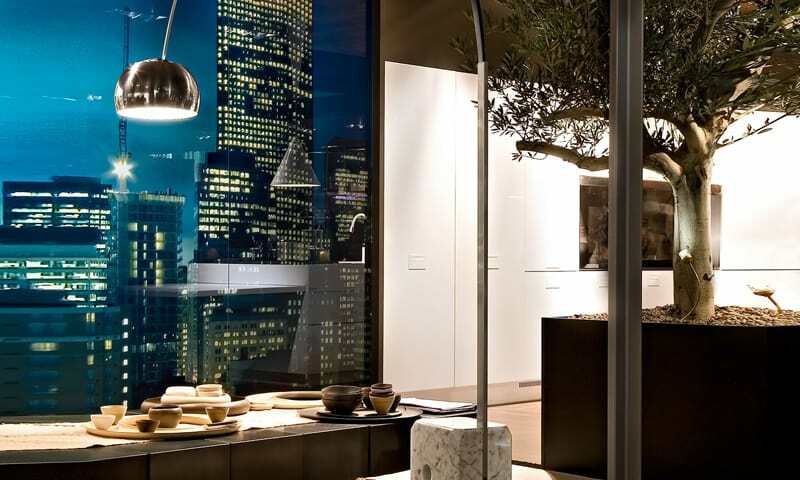 Buy your Arco Floor Lamp right now from Amazon! Although the space in some homes is not very generous, the tall generous windows create the right circumstances for a floor lamp. 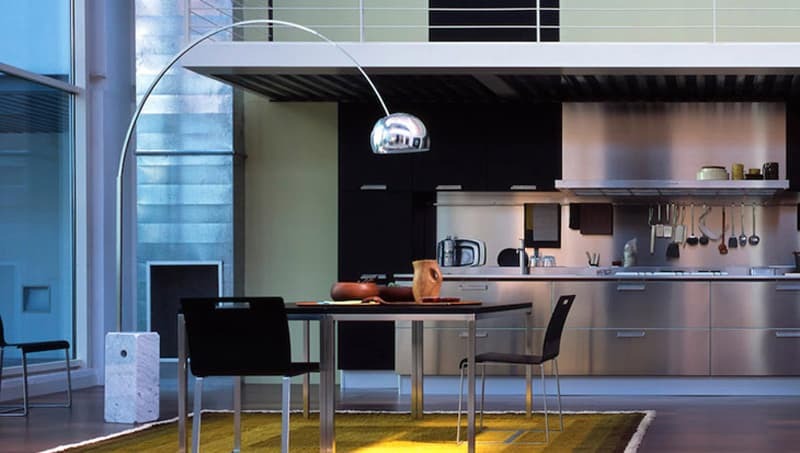 With a minimal amount of furniture, you will create the perfect spot for an Arco Lamp. Is the lamp perfect for your home? If you are planning to get one, placing it just right can be difficult. Spaces that are tiny or cluttered can feel overwhelmed by it. If you plan on buying one, be sure to look at the sizes carefully and figure out where you are going to put the base to get the lamp in the right spot. 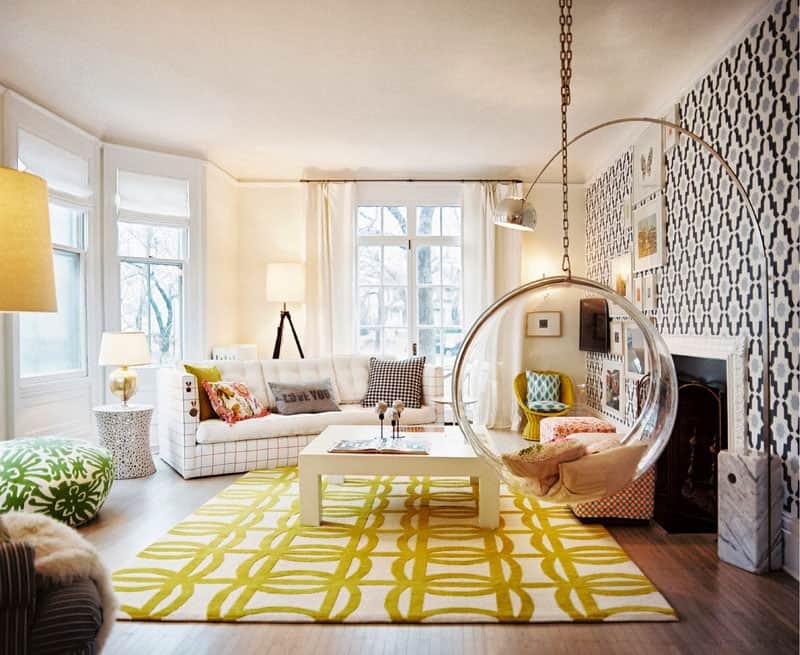 Perfect for airy and light lofts, the lamp adds personality to the space. 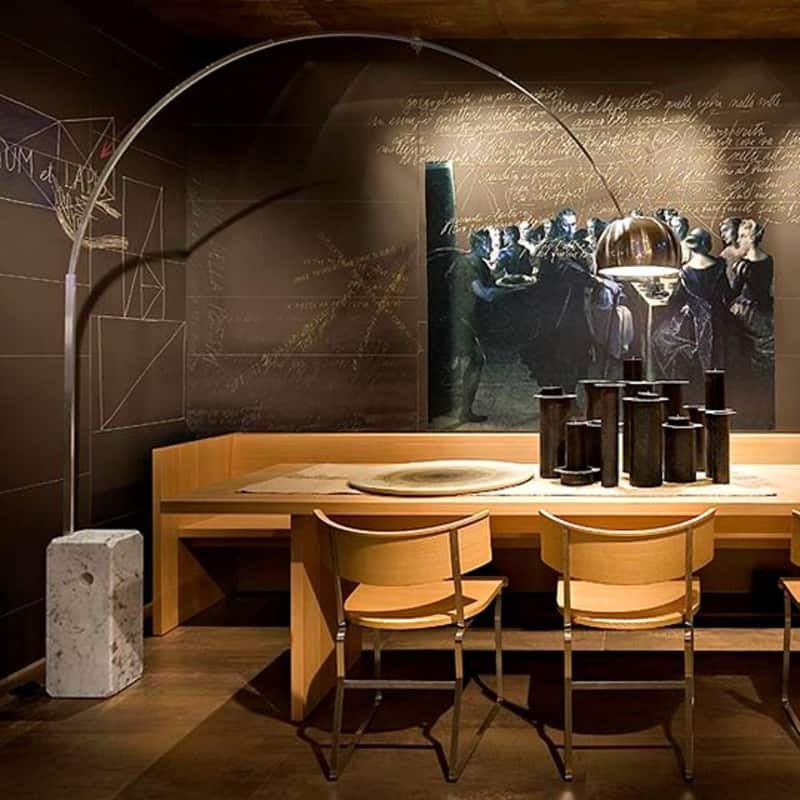 A modern ingredient, the Arco Floor Lamp makes this meeting room a spectacular one. Let the space feel airy and uncluttered. 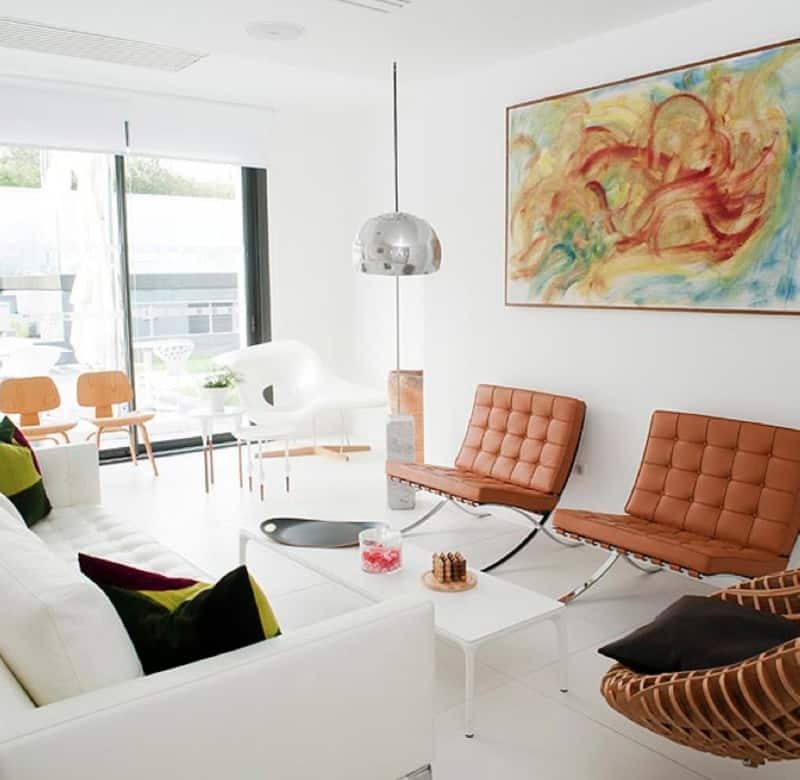 Look for minimalist pieces of furniture and create a soft dialogue between them. Often seen over sofas, the lamp works beautifully hovering over the bed. 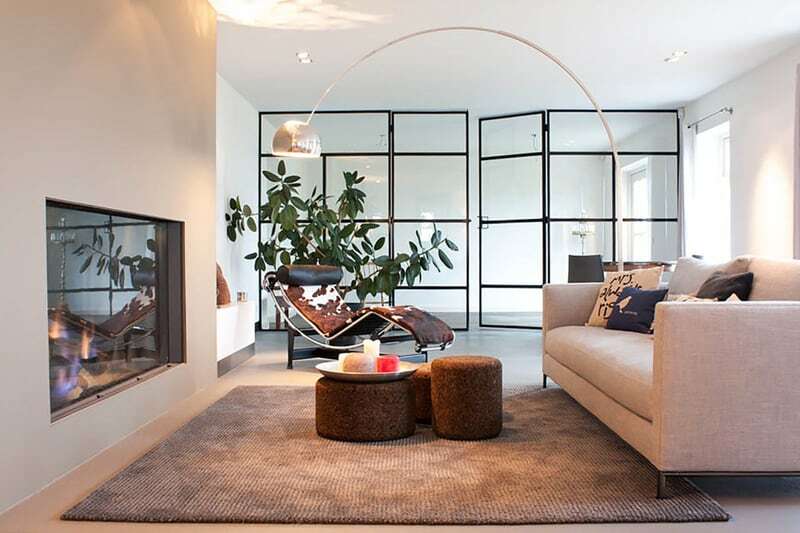 This small Arco lamp feels just perfect in this living room. Another problem was the counterweight: a heavy weight was needed to support it all. Firstly, the designers wanted to use concrete, but then they realised marble was better. The same weight took up less space, and also it could be better finished for a lower cost. This is an example of how to put it in a room that does not have large windows. But, the folding doors nearby make the transition very smooth because they are of transparent glass. As a result, the lamp feels comfortable in this airy living room. You can combine it with classic pieces of furniture, but its favourite environment remains the contemporary one. 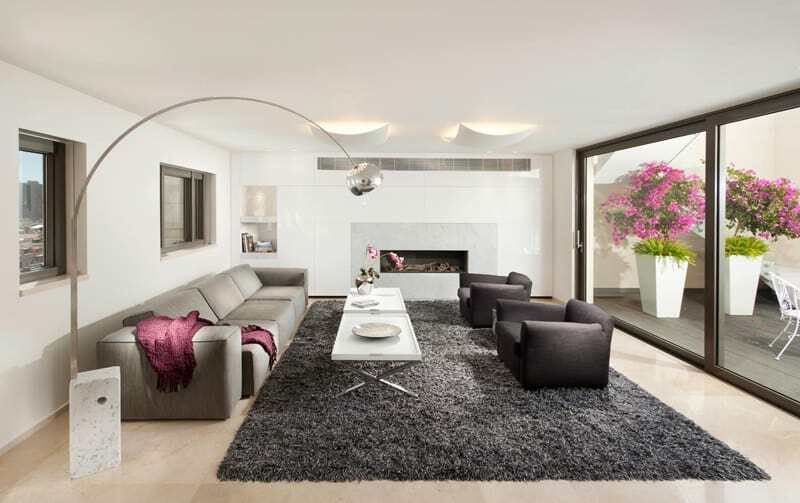 Thus, its stylish, slim look integrates easily in a modern living room. 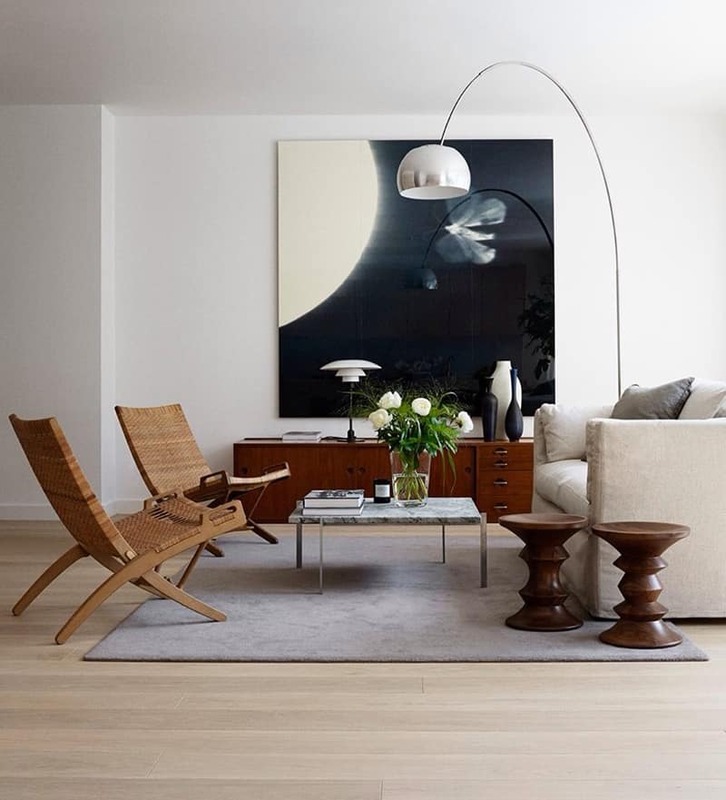 In addition, the one above breathes a masculine air: oversized photos, a guitar, a neat grey sofa and two white leather seats cohabit in this present-day composition. I like how it combines with wood – it adds luminosity to a place. Furthermore, it warms the interior.